The Norwegian newspaper Firda reports today that the criminal investigation against the Bodnariu parents has concluded and the results have been forwarded to the Norwegian equivalent of the district attorney’s office. The article states that results of the investigation have not been made public, but the parents can still be prosecuted in criminal court if the district attorney wishes to do so, despite the fact that the children have been returned. A reasonable person may ask, how is this possible? The children have already been returned! Well, in Norway the social and criminal systems have separate independent procedures and investigations. The social side of the case is where the children were returned, but the “criminal” investigation has pushed forward apparently. We are hoping for a quick resolution in the absence of physical evidence of abuse. There was never any abuse in this family. It so happens that the entire month of July is a court holiday in Norway. Only emergency cases are heard, so a decision in this case will not be expected soon. On the other hand, Barnevernet should be investigated! Their interrogation of the Bodnariu children should be reviewed for the use of leading questions, and their coercion of the Bodnariu parents to sign false statements against each other should be made public. After all the abuse this family has suffered at the hands of the Norwegian CPS, Norway better not lay a finger on them again! Delight in Truth is calling on Norwegian authorities to stop harassing this family. Close the case, move on, and reform Barnevernet. De ce familia bodnariu nu i da in judecata pentru vanataile si loviturile peimite de copii la Barnevernet? De ce nu i da in judecata ca aluat sugarul de la san?Drepturile copialsilor au fost incalcate. Perhaps Norwegian authorities would still like the details of the Bodnariu case and how Barnevernet processed the case to go to public? Any prosecution would suggest that. “Perhaps” is good word usage here, Jasper. The BV never seems to quit on any case that it has “lost,” so cases continue on and on and on, it appears. Again the criminal side of things rears its ugly head and we still don’t know the details of the social side. It appears that part of the deal made between lawyers on the social side was “silence” to the media and other sources. I have not even heard of any thoughts about the social decision from Bodnariu family members. Was “silence” a stipulation and were there other stipulations in the social agreement? Will we ever know the truth on the social side. Maybe after the youngest Bodnariu child turns 18. If there is such a “silence” statement written into the social case, Marius and Ruth would do well to be very careful about what they say to others including family. I am surprised that only one newspaper, Filda, has printed this information. What makes Filda special? Why do they have this “story” and no other paper? Maybe it was in others of which I am not aware. In any case, the Bodnarius are now waiting again. They have their children until the end of the month and maybe then we will have a resolution of the criminal case. It is all cruel and usual undeserved punishment in Norway’s child welfare system. The criminal case has been launched from the social side. I think any prosecutor with a common sense would either drop it or ask for a verbal warning or for a very very symbolic fine, but not more. I think you are correct here, Jasper. So far it seems to be the same thing in Natasha and Erik’s case: Barnevernet claims they cannot take care of the children and go for the children in a Barnevern case. Not to be able to care for children is no criminal matter. But they have taken the children away from Barnevernet’s prescribed care and gone abroad. If they did that in defiance of a valid order for the children to be at the family centre or in some other care decided by Barnevernet, that is a criminal matter, and the police, and later the public prosecutor of the county, decide whether to prosecute them for it. A public prosecutor may be more or less sensible, but it is really the fault of the legislation and the interpretation of the law which has been pushed through. THEY are not sensible. Cf the mother who was reported for having thrown a towel at one of her sons when the boys would not stop fighting or something. She wasn’t forced through the grindstone, true, but even the fact that it became a case is indicative of the present situation. I agree with you that a firm warning should be enough in such cases, or – since this strictness of law has created some precedent, a fine just to make people sit up and realise that they cannot “negotiate” or interpret according to what they themselves see reasonable. The reason why Firda has has article is, Chris, that they are a local newspaper, based in Førde, very close to Naustdal. (By the way, both “Firda” and “Førde” mean “fjord”.) That nobody else carries the info is typical of the Norwegian press. Barnevern cases are a dime a dozen, and in addition the authorities do not like all the hullabaloo about the Bodnariu case. Thank you for your help in understanding things as they are in Norway, Marianne. I’m sure you know the implications of your description, Marianne. If a case that received international has become “just another case,” to the press, it sure makes the Norwegian press look bad. As you well know, the authorities should have no influence on the press. It is why there is “freedom of the press” in a democracy. What you have written, Marianne, makes me wonder how much influence the authorities have over the press in Norway. The larger newspapers, based in the cities and not so dependent on the local community, are partly subsidised by the state (it is called “press support” and parliament dishes it out). Little local papers also need financial support. But at least as important for them is the community. Any controversial case splits the local community in two or more fractions. Maybe those who dislike what the paper writes won’t subscribe any more. And anyway a local rag has to have a fairly friendly community supplying them with ordinary stuff to print. When it comes to Barnevern cases, one of the two fractions is the one supporting the local Barnevern and municipality, its administrators and politicians, who are very heartfelt about all the money needed for Barnevernet’s difficult work. Also, many newspapers employ people with an education in social subjects to write about such stuff. Anything like objective reporting will cause great upset all round. I am not saying I feel for the press people, I don’t much. But I think i see more or less how it operates. Thank you for the information about the Norwegian press, Marianne. It sounds like the way our country’s press sources operate have one major difference, government funding. None of our major press outlets get overt funding from the government. All media sources are run like a business although most may state rules of ethics as an important factor in determining how operation is maintained. I’ve noticed that Norwegian press sources print the same type of ethical statements. Most are aware, I’m sure, that certain stories are framed in a certain way, sometimes for political correctness or sometimes because of a particular bias. Any media that printed only facts in our day would probably not last long, specially in the larger markets. Placement and treatment of reports can be tweaked to fit a certain worldview and it seems that in our day more editorializing is done on the front page than ever. Any type of government funding would, I think, have some kind of impact on the way the news is reported. The impact would probably correlate to some degree with the amount of government funding a media source received. Historically, most in my country would view this as a conflict of interests. It is the same with the way churches are operated. In Norway, the government helps fund all kinds of churches, where in many democracies the churches are on their own. They may receive tax exempt status but they are not directly given any funds. If they pay a pastor or church employee, it with money given by those who support the church. One should be able to see how this might cause conflict. If I’m a pastor (or news reporter) and my paycheck comes partially from a government source, I may not feel as free to express myself on certain issues that are important to my faith (or my reporting) because it may conflict with the status quo. Freedom of the press is a great thing, but as most things in life a great thing can be used to ill purposes. I listen to a news report given 3 times a week from a journalist who has left at least one of the four major American medial outlets and now has his own news program on the internet. His media source (only himself from what I can see) is supported solely by those who like his reporting and his guests and wish his program to continue enough that they support it financially. There are no fancy sets and no commercials. In his case, the facts lead him to make editorial comments that most would say are biased. If he is following the facts where they lead him and his conclusions are based on those facts from good sources, I have to give credit where credit is due. I have found him to be consistent but not perfect (like everyone else in this world). He is also passionate which can be a double edged sword for a journalist. If the facts of any media source are not backed up with primary or very reliable secondary sources and they are followed with opinions, one must question how newsworthy the opinions are. All media sources, in our day, are biased to some degree and always have been. However, I have learned about a media source in my state, which no longer exists, that for years had high standards for journalists. My opinion is that when this paper lost its leadership, a great man of journalism, it began to flounder and eventually was beaten by more sensational media sources. I am probably oversimplifying but I think I’ve hit the major reason for the death of a good periodical. With the internet, we have so many sources to choose from. Our major four networks include 3 that would be considered leaning left and one that would be considered leaning right. It seems that no one is happy with any of them. Those who buy the products advertised on the left leaning networks complain that stories aren’t left enough. It is the same for the right leaning source. I don’t want to take up too much space here but I’ll give an example of journalism that would have had better treatment had I been in charge. Just a few days ago, I watched the first 15 minutes of so of one of our major network news programs. They are aired around the time many eat their last meal of the day. The first two stories at the top of the news were two police stories that were similar. In both reports, African Americans had been shot by police officers in two separate events in two different states in America. Both reports were very short and put the police in a bad light. Both stories may have involved two very disturbed police officers. At the same time, so little was given about each event that I felt I didn’t know the facts in either story. All I knew were that two African Americans had been shot by police and that the police were seemingly in the wrong. One of the two events had some dramatic footage which would pull at anyone’s heart strings. The thing missing from each story was the context. Speaking to a former law enforcement officer today, he refused to comment on one of the two cases as he had no facts to add, but he shared information about the other case that seemed to put the story in a context that changed the report somewhat. I’m sure that as the facts come in, we may eventually know the truth about both cases someday. I only wish that the press wouldn’t rush to get a the “scoop” first and completely miss some very important facts that would give a much truer picture of a story. One intelligent person I know thinks that it is possible that the killing of the police officers in Dallas was caused by the media’s recent continual focus on the police shootings in two other states. He may be correct after hearing the statement of the suspect. I do not blame the news media for pulling any trigger. However, as I watched the stories just days before the Dallas shootings, I couldn’t help but think of other things going on in the world, like the NATO Summit meeting in Warsaw to name only one. I am in no way minimizing the reports that police may have made errors in the line of duty. If it is the case that law officers did something wrong, they should be prosecuted and treated like any other citizen. At the same time, the media must be careful to not help create more problems than it solves. At least, that would be one of my main philosophies as a journalist. Why mention this information about the American media? It is because it reminds me of the Norwegian media in certain ways. I know that information was given to a Dagbladet reporter about a case involving a child taken from her Mother by the Barnevernet of Norway. I read that “news” article and found, that instead of a true account including many important facts that were given to the reporter, an account was printed that neglected many facts that were not favorable to the Barnevernet. In fact, I thought it was a pro-Barnevernet propaganda piece. Like the man who left the mainstream press to form his own media source, I hope there are many such sources in Norway. This type of behavior usually happens in a true democracy. The main question becomes, I think, which media are most people watching and how are they reacting to it? This is a question that could be argued about for hours. I don’t think a society can go wrong with the truth. If a society is educated in the truth, the media will have the proper influence. My conclusion is that since the society is not educated in the truth for the most part, the media can have an imbalanced influence. I ask the same question and I look to the same teacher for my answers. I have done it again. I will get down now. The major issue with bias is not that all news sources have a bias. That happens all around the world, and you can mitigate it by reading news sources with opposite bias as well and try to reverse engineer news a bit. The major issue is when all main news sources have a very similar bias. With respect to Barnevernet it seems to be the case in Norway, with little exceptions. Mam pytanie : czy ,,kneblowanie ,, czlowieka ,albo rodziny jest w takim przypadku legalne?Juz z proba zakneblowania mnie poszlabym natychmias do gazet i to wielojezycznych. To jest bardzo dobra zyciowa strategia , ktora ja nazywam ,,na miska,. Jezeli ktos chce ci zrobic krzywde – krzycz glosno , najlepiej tak glosno , zeby wszyscy uslyszeli. To byla strategia mojego psa -misiek.Byl strasznie glosnym psem , ale mu za to dziekuje , bo mnie czegos nauczyl.Po prostu im wiecej ludzi wie , ze masz problem , tym szybciej znajdzie sie ktos , kto pomoze. To wszystko jest chore.Sledzenie zachowania pracownikow BV oraz politykow , ktorzy w dalszym ciagu marza , zeby nie trzeba bylo nic robic – no moze jakas delikatna , niegrozna zmiana.Pani Horne na przyklad marzy ,ze po 2 letnim sledztwie w sprawie 100 spraw bv w koncu zapanuje spokoj i ludzie nagle odzyskaja zaufanie do BV.To sa mrzonki tej pani, zaufanie mozna stracic raz -a potem go juz nie ma.BV w tej postaci NIGDY nie odzyska zaufania. No i te ciagle insynuacje , manipulacje ,klamstwa.Nawyk pracownikow bv , zeby zrobic komus swinstwo , odwrocic kota ogonem i powiedzic -to on byl winny.Pracownik bv po odwidzeniu domu Nataszy ( kiedy miala 13 lat ) stwierdzil ,ze dziewczynka jest opozniona w rozwoju ( testy pokazaly , ze to nieprawda, jest normalna i taka diagnoze postawil lekarz) .Teraz kiedy to wszystko wyszlo na jaw , pracownik bv ( Knut ) probuje nam wmowic , ze to matka dziewczynki byla winna , bo chciala wiecej pieniedzy.I znow pracownik bv jest niewinny. A pani adwokat bv ma obowazek milczec i dlatego nie moze nas poinformowac , ze ta para (ktora jest w Polsce ) w momencie wyjazdu miala pelne prawa do swoich dzieci .A problem dotyczy braku posluszenstwa.Krotko mowiac nie chcieli zaczekac az dostana wyrok , ktory im dzieci odbierze. No i to straszenie ich interpolem.Nie jestem przekonana ,czy interpol bedzie zachwycony rola straszaka na bogu ducha winnych obywateli .Mam nadzieje , ze nie bedzie zachwycony i ,ze beda konsekwencje z ich strony. The time seems to get mature to organize the next round of global protests, now not only for one family? And the world should hear that there is no justice in Norway related to child protection cases, ideology has taken its place. looks like I accidentally deleted the case of Eva Michalakova and her sons. Cenzura w prasie.Jezeli ktos tu ma wysoka ,, arbeids moral ,, to napewno cenzorzy.Prasa jest bardzo cenzurowana ,Slowo rasizm w gazetach nie pada , mimo ,ze w zyciu jest go mnostwo.Tematy poruszane – bezpieczne , nie wpuszcza sie komentarzy ( bardzo sporadycznie ) .Jezeli sie wpuszcza wychodzi na jaw zajadlosc ,nienawisc prymitywnych ludzi do obcych , dotyczy to rowniez policji.Nie ma sensu informowac dziennikarzy o jakis sprawach – i tak o nich nie napisza.Ludzie o dziwo nie wierza ,ze gazety sa cenzurowane.Otwartosc w Polsce jest na zupelnie innym poziomie. Kultura ludzi tez.Moim zdaniem ludzie tutaj zachowuja sie jak Zombi – sa tak spokojni , prawie bez emocji.Z obcymi nie rozmawiaja , czesto odwracaja sie plecami .Spoleczenstwo norweskie jest bardzo zamkniete dla obcych , patologicznie solidarne i chorobliwie podejrzliwe.Nie wszyscy ,ale wiekszosc tak.W ukladach zawodowych 1-1 sa ok , grupa -kontra 1 -powoduje mobing.To tutaj duzy problem .Nie sposob z nimi wspolpracowac.Sa zbyt duzymi ignorantami a do tego bardzo zadufanymi w sobie.U nich wszysko jest najlepsze.Brak wielu towarow na rynku , inne maja maly wybor .Ale sklepiki z zagranicznymi towarami sie nie utrzymuja , bo Norwegowie nauczeni sa kupowac swoje towary i od swojego.Wiedza i rozwoj w wielu branzach jest na poziomie sredniowiecza.Ale nie ma sensu z nimi rozmawiac o modernizacji – wiekszosc dziedzin to firmy komunalne czyli panstwowe , a w tych nikt sie nie wychyli sie z pomyslami modernizacji.Po pierwsze sa tchorzami , po drugie nie maja wiedzy o produktach .Na wystawach swiatowych sie nie pojawiaja, wiec nie wiedza jakie sa kierunki rozwoju.Jezeli im sie cos oferuje natychmiast pada pomysl odeslania sprawy wyzej do dyskusji.Calymi latami wiec dyskutuja.Tylko , a swiat sie rozwija wiec tyko zwieksza sie dystans.Ludzi obcych nie szanuja, ani ich wiedzy.Wola czlowieka zgnoic niz wspolpracowac.Mnostwo jest glupich , ciemnych , podlych i zlosliwych.Czesto zupelnie im nie zalezy na opini innych.Szyderstwo to tutaj norma.Spotkalam tu niesamowite przypadki zawodowj ignorancji.W branzy w ktorej pracowalam organizacje dozorujace miedzynarodowe prosily o raporty sytuacji , bo sami o nich nic nie wiedzieli.Nie pokazywali sie na wystawach , ani na konferencjach, oplacali jedynie skladki. O rozwoju europejskim nie mieli zielonego pojecia.Nie wiedzieli , gdzie poszukac informacji o terminie i miejscu wystaw.Nawet gdyby tam pojechali , to moim zdaniem brakowalo by im wiedzy z zakresu materialow nowych technologii , zeby docenic nowinki.Krotko mowiac gleboka ignorancja.Ale mnostwo pompy.Zakrywanie niewiedzy pompatycznoscia, uczuciami patriotycznymi.Popieranie tyko swojego.Moge tak dlugo , niestety. 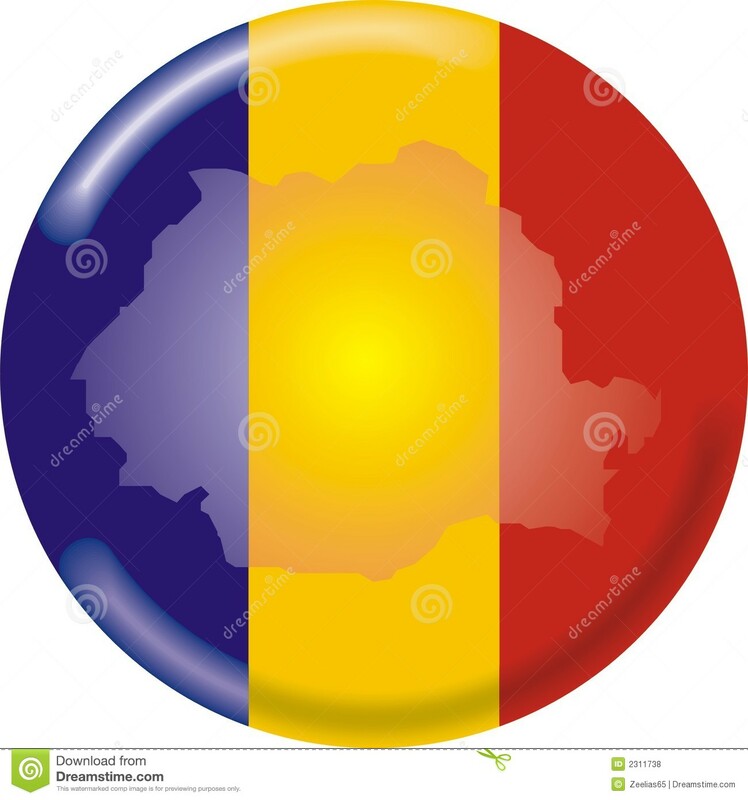 The Romanian Community has set a precedence to the nations! Your demonstration of unity exhibits the power of God disarming the enemy! The awesome victory of Norway’s CPS returning the Bodnariu children to their wonderful parents is a message to the entire world what UNITY in Jesus Christ can do in bringing TRIUMPHANT VICTORIOUS VICTORY against the minions of satan! America was founded on the Gospel of Jesus Christ in which the U.S. Constitution was constructed by America’s Founding Fathers. Originally a Republic was formed that only those with a moral and virtuous people can maintain that can only come from Christianity. Now at present, a democracy has formed due to humanistic ideologies taking over. We do still have our freedoms that is quickly diminishing. Therefore, liberal and progressive journalism in reporting what the government approves of has taken over. Investigative reporters who reports unadulterated TRUTH is extremely rare. It is an honor and blessing to know Octavian. God bless you Octavian!